I have been a very lucky girl lately as the lovely people over at SOAP & GLORY sent me some gorgeous goodies. I have already reviewed the ARCHERY brow tint and pencil, read it here. I love a bronzed sunkissed glowing look, as you can see from my Face Of The Night for the Company Style Blogger Awards. 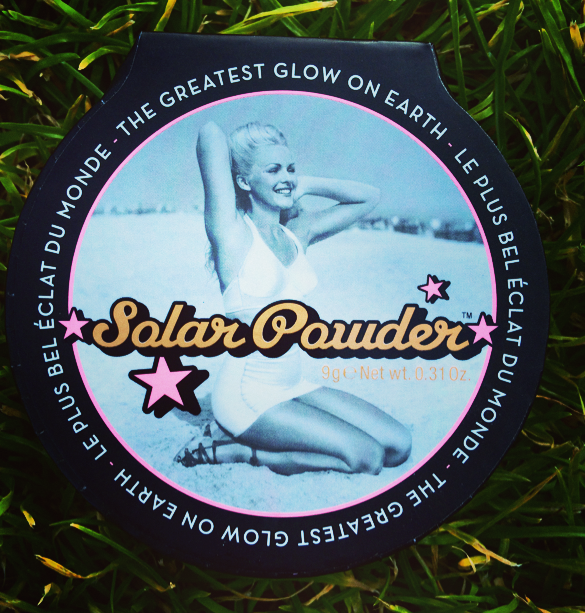 So I was very happy to receive the SOLAR POWDER. First of all the packaging is absolutely gorgeous, as is all of the Soap & Glory packaging. It comes in a card case with a vintage pin up image, complete with a mirror for us girls on the go. The product itself is pretty exciting too. It has a shimmery bronzer side and a golden highlight side. These can be used separately to bronze and highlight the face for a contoured look. They can also be mixed together for an all over bronzed glow. Left to right: Bronzer shade, Highlighter shade, Mixed together. I can feel that the gold shade is going to be my go to powder highlighter of the summer. 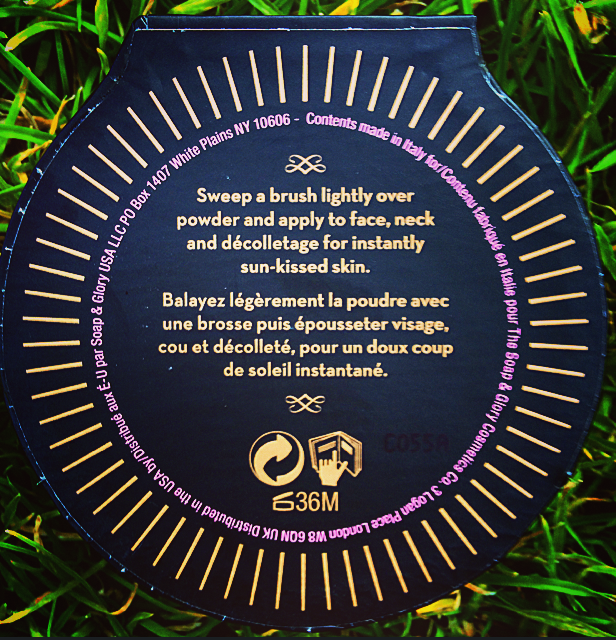 It gives a nice golden glow without being too shimmery and you all know how much I love a good sheen on my cheekbones. Check out my post about some of the other highlighters that I reach for here. A cute compact with a bronzer AND a highlighter? Yes please! Thank you SOAP & GLORY. 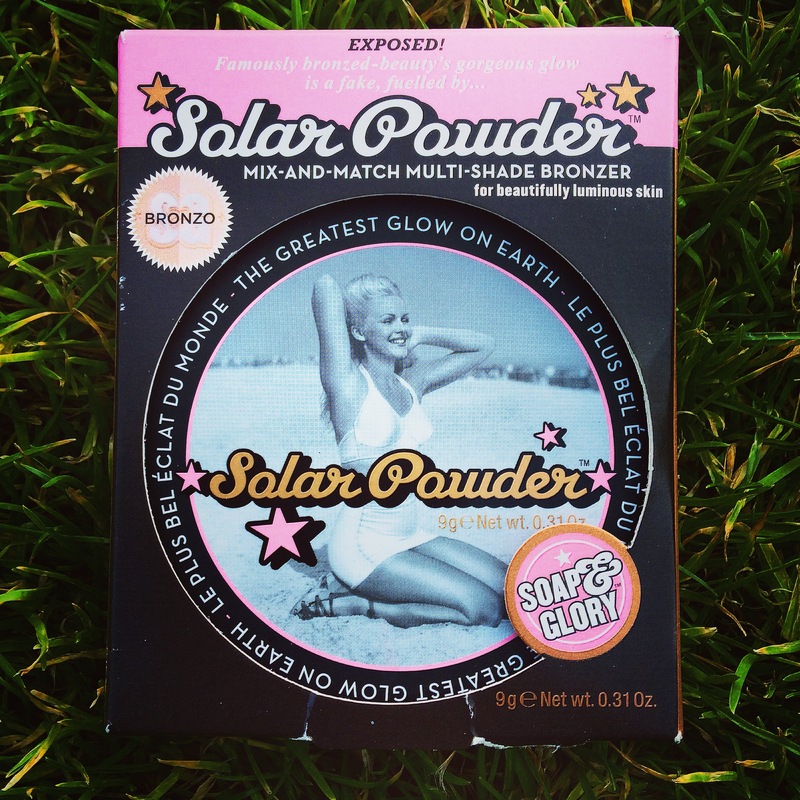 Get your SOLAR POWDER here.